you need Acrobat Reader, Click the icon follow the prompts. It is free, safe and secure. Urge the political leaders in Iraq to form an inclusive government. It is critical that all ethnic and religious groups are represented at the table of governance so that the common good of all is served. Extremists have been exploiting the divisions born of exclusion and the weakening of the rule of law. Advocate for the protection of all people in the midst of this chaotic and dangerous situation and be especially attentive to the protection of Iraq’s ancient minority cultures. 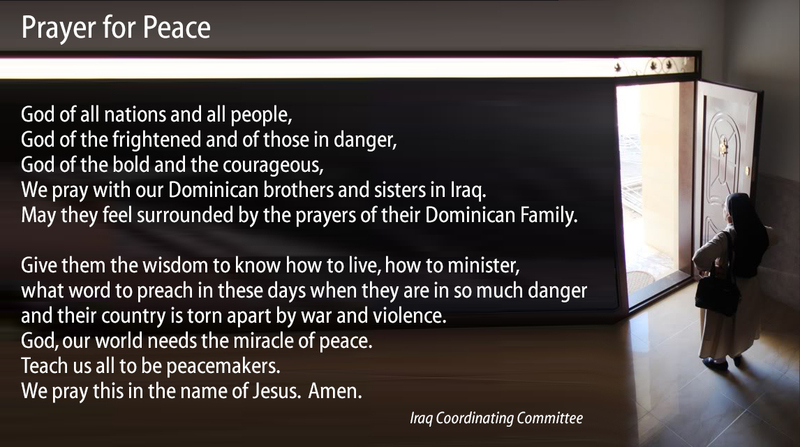 Bishop Louis Sako, Patriarch of Babylon of the Chaldeans, is calling on all Iraqi Christians to join their Muslim brothers and sisters in their Ramadan fast for the cause of peace and stability in Iraq. Please encourage your sisters and brothers to be in solidarity in their own way. 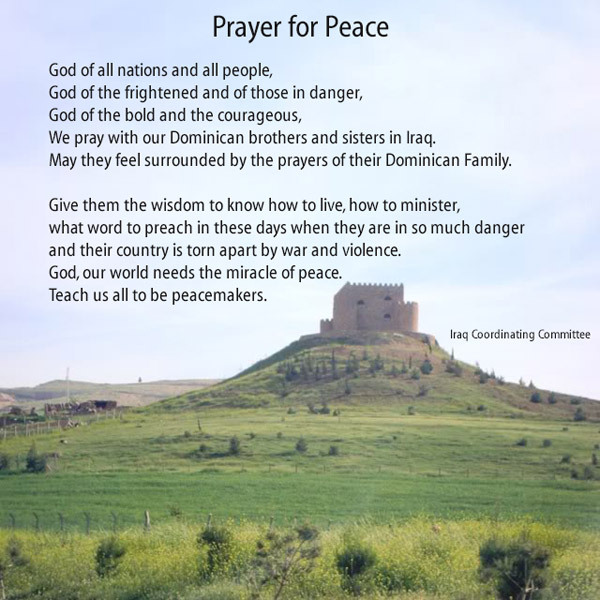 Share the Prayer for Peace on your web site and Facebook page as well as sharing with your communities. There are two graphics to choose from, and the horizontal one is formatted in two ways: one to be used as a Facebook post and another as a Facebook cover photo.